Coriolanus: Nature teaches beasts to know their friends. I am a fan of actor Ralph Fiennes. I enjoy stories involving Greek tragedies. 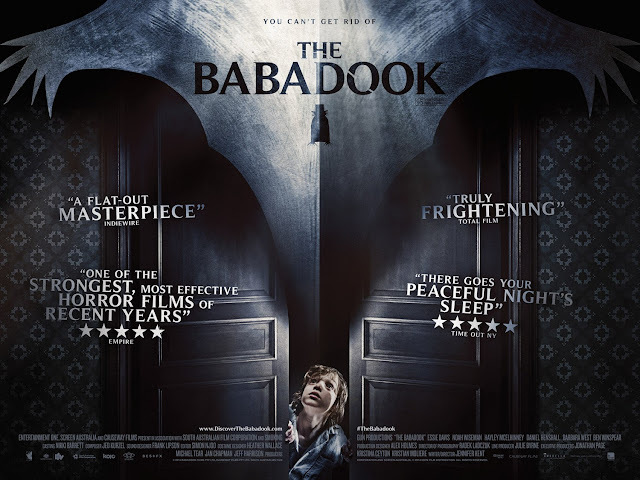 And I tend to like films that reappropriate the works of Shakespeare in interesting ways. 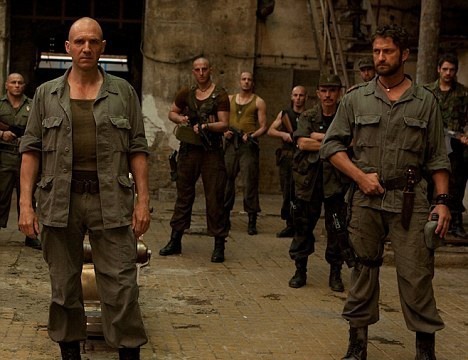 I found the concept of having Ralph Fiennes star in his directorial debut of the Shakespeare tragedy Coriolanus, which has been set in modern times, despite retaining the Shakespearean dialogue, to be an intriguing one. Fortunately, it paid off greatly for me and those who would be similarly interested in such a thing. 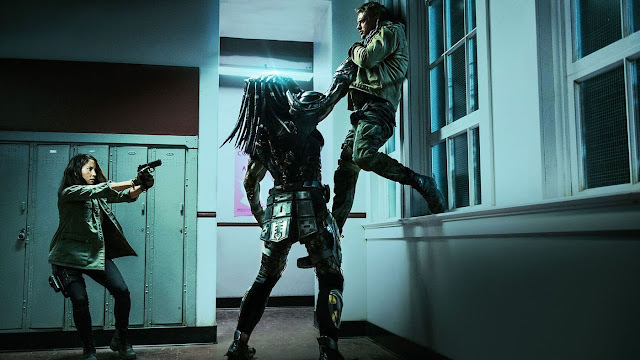 While the modern setting makes way for some pretty stylish action sequences early on, the film is mainly a powerhouse of acting, with characters digging into the usage of iambic pentameter, and delivering fine work all around. 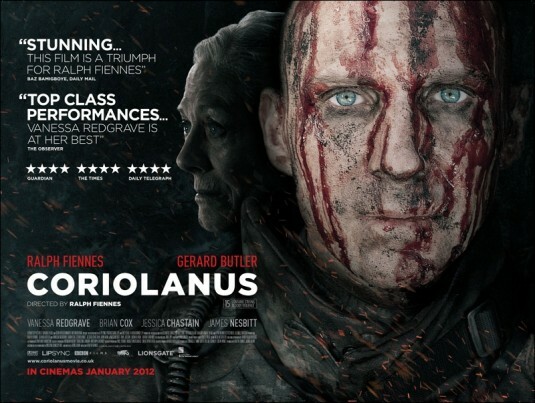 Fiennes star as Caius Martius Coriolanus, a brilliant general, living and serving in what is referred to as ‘a place called Rome’. 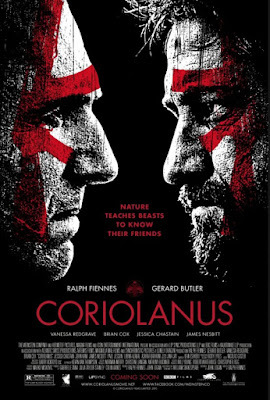 Early on we see Coriolanus take on an attack against the Volscian’s, who are led by Tullus Aufidius (Gerard Butler), showing just how tough and how great of a soldier Coriolanus is. 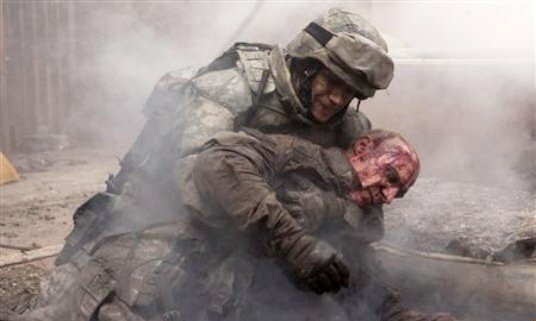 However, the people do not favor Coriolanus and nor does he favor them; believing true citizens should be those who have served in battle. While he fights for his people, gaining his respect would be another matter. Having shown great courage in the battlefield, Coriolanus is convinced (despite his own doubts) by his mother Volumnia (Vanessa Redgrave) to run for Counsel. Unfortunately, this backfires spectacularly, as Coriolanus is challenged by opposing politicians (played by James Nesbitt and Paul Jesson), which leads to the people rioting against Coriolanus, eventually leading to his own banishment from Rome. 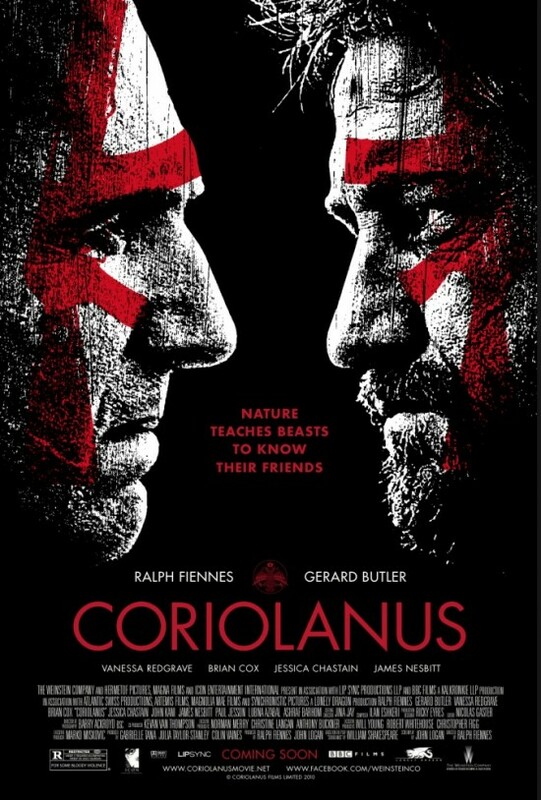 Coriolanus then vows revenge by teaming up with Tullus and the Volscian’s, which will lead matters up to his wife Virgilia (played by Jessica Chastain), the Senator of Rome (played by Brian Cox), and his mother to possibly stop him and quiet his rage. Screenwriter John Logan (Gladiator, Hugo) has done a fine job in compacting the narrative of the play into a straight-forward film. 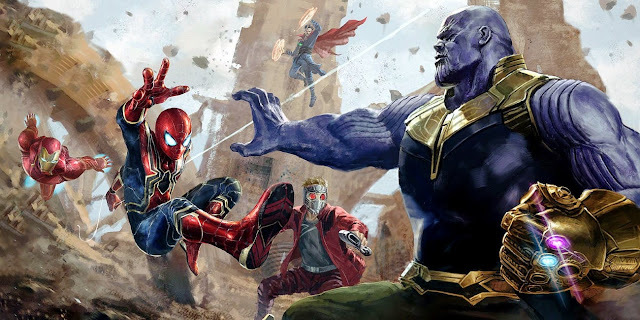 The way this film has been constructed is fitting in how it brings together these various characters and has them effectively deliver what is required of their roles. As commanding and (frankly) scary as Fiennes is, the other actors too get to play in this gritty sandbox of Shakespeare-gone-tactical. 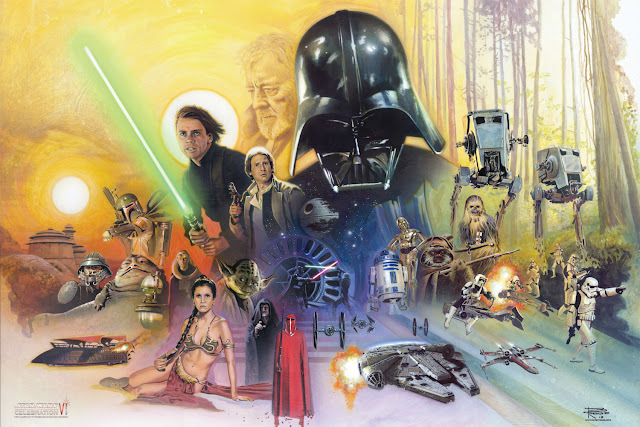 The fact that the film does retain so much of the language that would be seen in the classic version of the play makes it all the richer, with interesting ways of viewing how this version will turn out. As a director, I really enjoyed how Fiennes put together some key sequences in the film. Having filmed in Belgrade, Serbia, there is certainly room to spare when it comes to showing an area that has certainly seen its share of battles. The graffiti covered ruins that litter the backgrounds serve well as scenery. The action beats that comes early on are filmed with an intensity that is only later matched by the verbal sparring, which pits Coriolanus against those who would oppose him. My favorite scene may have been Coriolanus’ blow up at the public, as he realizes that he must leave Rome, as his unflinching nature leads him to no other choice. The way Fiennes has effectively found ways to capture intensity of scenes that involve tricky dialogue such as this, mainly by use of close-ups on his own face (which is generally covered in blood or on the verge of rage-bursting) is very well handled, and makes the film continually compelling. I can probably praise Fiennes work in this film for more paragraphs than I need to, but the performance he puts forward is pretty fantastic. 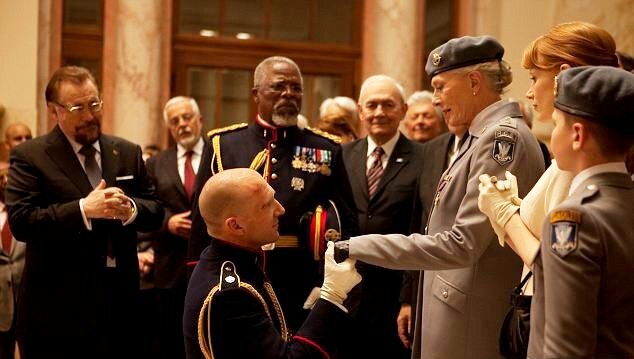 The way this character is shown as being disconnected from the world around him, when the subject at hand does not deal with the nature of battle, creates a terrific way for this film to give Fiennes the space to amaze with the ferocious nature of his performance. The depth that is added in the way he can relate to both his mother and Tullus are all the more interesting for the character as well, with further chances to delve into the man’s psyche. But enough about Fiennes, as there truly is a very strong supporting cast here. Chief amongst this support is Vanessa Redgrave, who may have brought just as much force to the proceedings as Coriolanus’ mother, the one woman who may have a chance at properly reasoning with him. Redgrave, as well as Brian Cox, are both actors who are mature enough to truly bring out the best in the kind rhythms and reason in dialogue they must deliver here. Fairing very well also is Gerard Butler, who certainly has not softened after dalliances in lighter films, following the machismo of 300. His accent choice, grizzled face, and willingness to add a level of passion to his shouting actually did a lot in making the Shakespearean dialogue he was responsible for quite effective as well. The fact that he and Fiennes face off in more ways than one is certainly not a bad thing either. Seeing the two of them together on screen leads to various ways one could even interpret their relationship, given all that these two enemies have in common. There is not much in the way of issues, regarding Coriolanus. 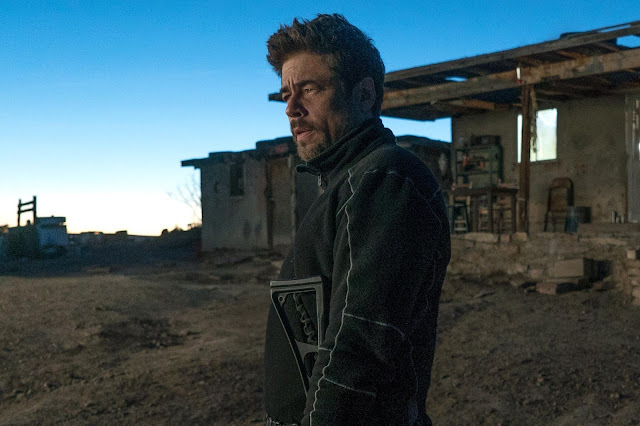 It is maybe one of the angriest dialogue driven films I have seen in some time, in addition to the blast of glossy action towards the beginning, and the rest of the gritty atmosphere that surrounds the film. The greatest strength relies in this anger and how Fiennes was able to channel it into his performance. The fact that he has great back-up work stemming from this strong cast, while employing old Shakespearean tongue keeps the film alive. It may not have more to it that pushes it towards overzealous greatness in my eyes, let alone the fact that keeping its tone at a certain level throughout gets a bit numbing at times, but Coriolanus is a very strong film indeed. Seeing Shakespeare done in this manner certainly seemed rewarding, but the confidence in Fiennes from both an in-front-of and a behind-the-camera perspective solidified that for me. It was surely no tragedy to see how this film came together. 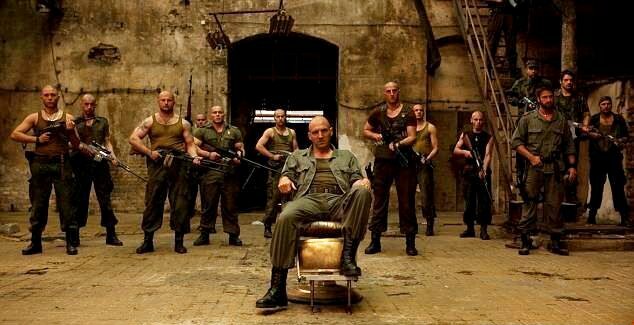 Coriolanus: Despising, for you, the city, thus I turn my back. There is a world elsewhere.